What you see above is rumored to be very close to the general overall design of the Project Cafe controller, according to 01net. They have been one of the top “sources” of Project Cafe leaks and have a history of being correct in the past. Naturally, this makes them semi reliable. Still, above seems to resemble a tablet PC with two thumb sliders and some buttons added. The real deal is likely a lot sleeker. In addition, the resolution is 800×500, which is pretty standard for touch based devices. Assuming this is true, and again these are unconfirmed rumors from a reliable source, you have to assume Nintendo has done a few neat design tricks to make it more compact and fit better in the hands. As great as tablets are, they are designed to sit in your lap while a controller is intended to be held. It has to be both comfortable and form fitting. Also, the weight has to be just right so as not to make the hands simply get tired of the weight in longer gaming sessions. It would be neat though if Nintendo went with thumb sliders instead of full on joysticks. I admit, the best feature of the 3DS so far has been the thumb slider, which is very sleek and responsive. Based off the above design, what would you do to improve off it? 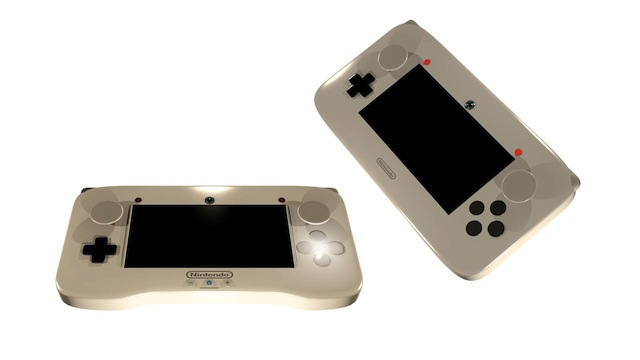 What do you think Nintendo’s final design will ultimately look like?